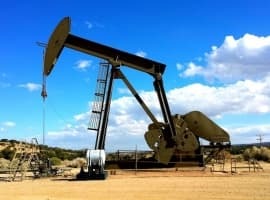 Today, the Energy Information Administration gave oil bulls a glimmer of hope by reporting a draw in inventories of 1.7 million barrels for the week to June 9. 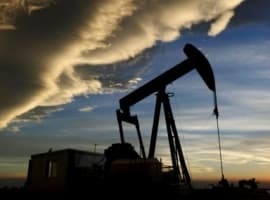 The possibility of oil prices going into free fall is looking increasingly believable as OPEC struggles to convince market players that the cuts they extended at the end of last month are having an impact on global inventories amid rising U.S. shale production. Yesterday, the API crushed bulls by estimating commercial stockpiles of crude had risen by 2.75 million barrels, contrary to analyst expectations of a 2.7-million-barrel draw. Last week the industry body reported a major decrease in inventories, at 4.62 million barrels, only to see the figures refuted by the EIA, which said inventories had actually climbed by 3.3 million barrels in the week to June 2. Now, the EIA said, total inventories were 511.5 million barrels, in the upper half of the seasonal average, which could be seen as a cause for optimism after several months of inventories exceeding the seasonal maximum. Then again, this detail may be ignored in the context of rising shale output, Iraqi export capacity expansion, and growing output in Libya and Nigeria. 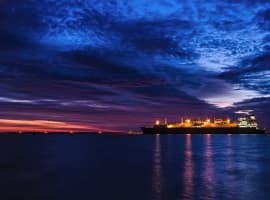 Earlier this week, Nigeria’s petroleum minister urged the U.S. and other non-OPEC producers to join the output reduction efforts, but the chances of this happening are slim, with a growing feeling among observers that OPEC needs to cut deeper to make a difference. The EIA reported refinery runs of 17.3 million barrels daily last week, with gasoline output at 9.8 million barrels daily, down slightly from 9.9 million bpd in the week before. Gasoline inventories increased by 2.1 million barrels. Imports averaged 8 million barrels in the week to June 9, versus 8.3 million bpd in the previous week. Next month should see a palpable reduction in imports if Riyadh stays true to its word to cut exports to one of its biggest clients by more than a third, unless offset by Iraq.